GoGoNano™ Liquid Shield liquid screen protector is introduced specially for keeping items like computer, glasses, mobiles, game console screens, cameras and tablets clean as well as safe from scratches. 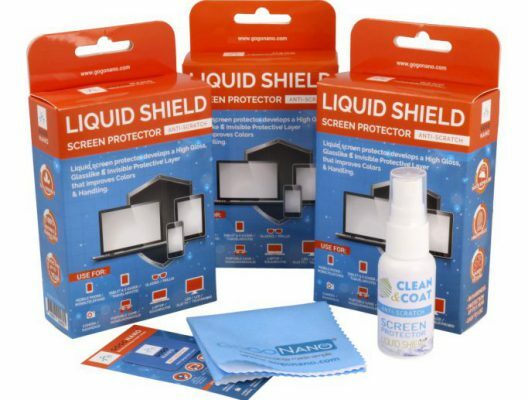 Liquid Shield liquid screen protector is worked out for keeping items like computer, glasses, mobiles, game console screens, cameras and tablets clean as well as safe from scratches. Its anti-scratch formula will react with the surface where applied bringing about a durable result. What is Liquid Shield and how it helps? With Liquid Shield Anti-Scratch you can cover your tablet, PC or Smartphone screen with transparent coating that will protect your device against damages, reduces fingerprints and makes it screen look clearer. Thanks to the most cutting edge technologies used in production of Liquid Shield the result will be totally bubble free, unlike the regular plastic screen protectors. 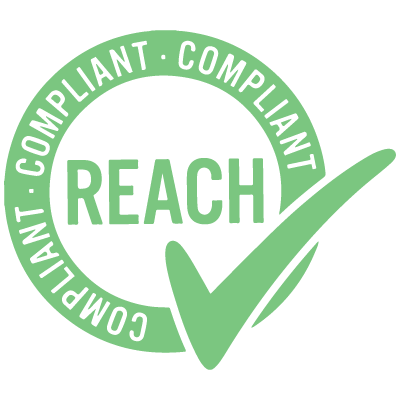 The liquid shield is water based, biodegradable and therefore nature friendly product. Using Liquid Shield liquid screen protector is very simple. You need to spray it on the screen of your device and spread it with microfiber cloth after couple of minutes. Then let it dry for 10-15 minutes. You can repeat the action if you are looking for stronger result. The device it ready for use when the last layer is completely dried. Liquid Shield Anti-Scratch is the first of its kind liquid screen protector that eliminates the need for using harmful plastic screen protector. The liquid screen protector makes your device 10 times more scratch resistant.  It means your screen remains fully protected from scratches that are caused by things like coins, keys, etc. Colours on the screen look clearer and more vivid. With plastic protectors the screen of your device will be unclear and dull. It makes your device water resistant. You don’t need to worry if you accidentally spill something on your device’s screen. 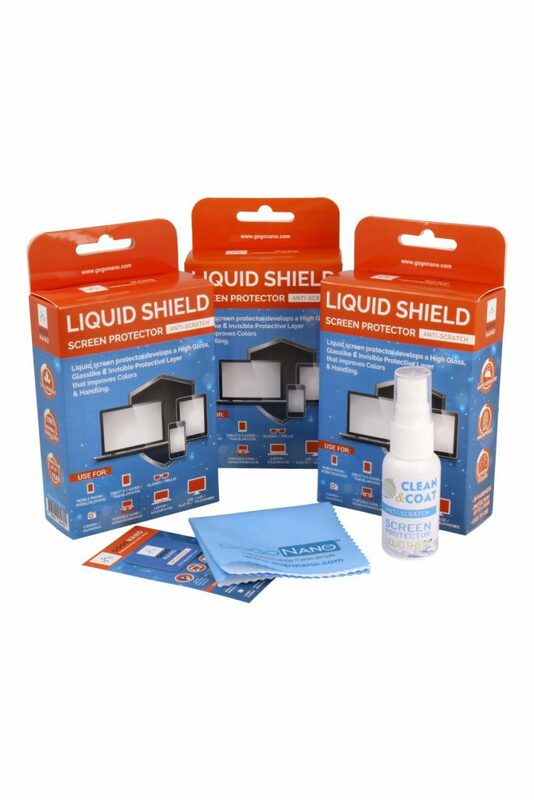 Liquid Shield comes with anti-bacterial feature which means it does not allow bacteria to stick on the screen, even if many people are using the same device. Easier to clean the surface. There isn’t any organic material used in manufacturing of this product that may stick to the surface. Moreover, the screen can be cleaned just only with a single swipe. You can slide your fingers smoother on the screen, it will become more responsive, so the device works faster. Universal solution. One bottle of Liquid Shield can be used for various items, even for sunglasses. What are you waiting for, order now! Having trouble finding screen protector for your devices? Look no further! Liquid screen protector Liquid Shield keeps all devices protected, no matter what size or shape. Why and how to use Liquid Shield liquid screen protector?